Connect to cloud-base IoT gateways such as AWS, Azure IoT, and MQTT Brokers to move device data into the cloud. Achieve a true IIoT solution by incorporating the speed and reliability of the OAS platform into your IoT ecosystem. OAS IoT Connector provides you with the capability to easily move data to or from any industrial controller, .Net application, REST interface, database, PLC, OPC DA or UA Server, DA Client, Spread Sheet, Web application, or other IoT Connectors to or from your IoT environment. OAS IoT Connector combined with OAS Data Route is a very efficient and easy to configure protocol translation and transport service. Setup is easy, requires no coding, and can be implemented in a few minutes for thousands of data points. Note: The OAS Data Historian product supports direct logging to Azure SQL along with many other popular database engines. Write live data to Azure IoT devices using the built in AMQP protocol driver. This enables you to take full advantage of any or all of the other big data and IoT services provided by Azure. Allows you to read or write data to and from Amazon Web Services IoT devices using MQTT with TLS (Transport Layer Security). 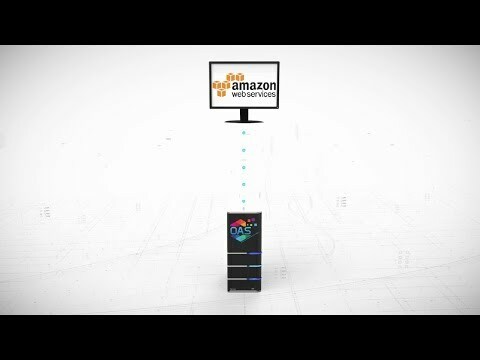 This enables you to take full advantage of any or all of the other services provided by AWS. The OAS MQTT Data Connector allows you to connect to MQTT devices and software brokers with the built in MQTT Driver Interface. Allows an OAS Service to write values from any Tag to an any other Tag providing and easy way to convert protocols and transfer data across networks.